Woman receiving a spa treatment. Bambu Indah is a radically distinctive boutique hotel in Ubud, carefully curated by designers and long term residents of Bali, John and Cynthia Hardy. In 2005, eleven antique Javanese bridal homes were brought to Bali, restored, and decorated with the finest details. 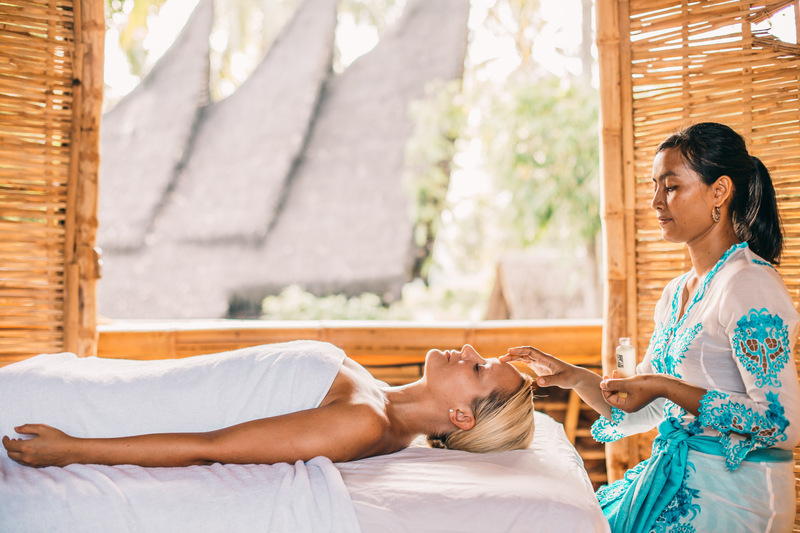 Now, Bambu Indah is available to travelers from around the world seeking unique experiences while being comforted by the luxury of a natural environment and service of an intimate hotel.